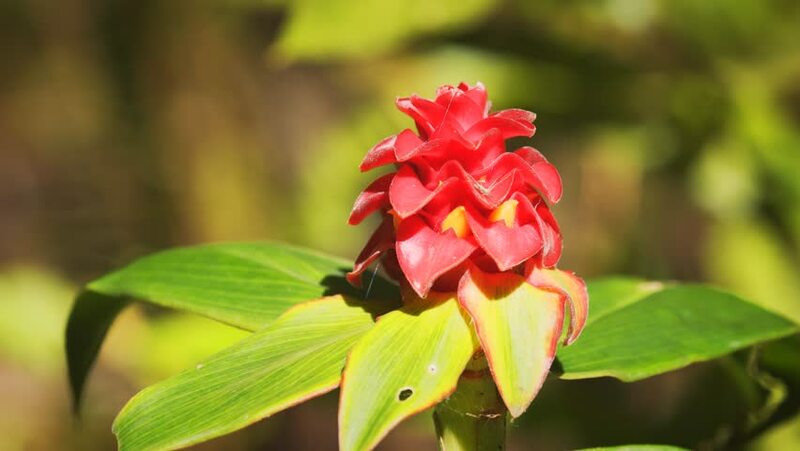 Red blossom of a wild ginger plant stands out against green leaves. in this tropical wilderness area in Thailand. hd00:12Red ladybugs on green yellow leaves. hd00:12Tropical exotic plants and flowers on Bali island, Indonesia. Daylight, sunny day. Close-up plants, green background.